Free Printable Number Mazes. Free Printable Number Mazes games to use as a learning activity at home or school. Print free Maze puzzles here. Print them using your inkjet or laser printer. Let the children have fun finding the right path out of the number mazes. Select from Number Zero Maze, Number One Maze, Number Two Maze, Number Three Maze, Number Four Maze, Number Five Maze, Number Six Maze, Number Seven Maze, Number Eight Maze, and Number Nine Maze or print them all. 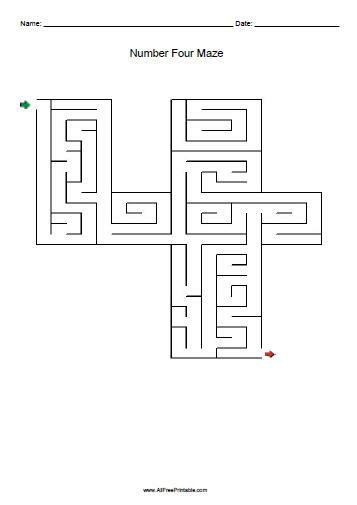 The free printable mazes includes the solution. Click the link below to download or print the free mazes puzzles now in PDF format.